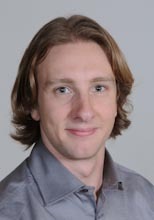 Dr. Simon Parkinson is a Research Scientist with the Institute for Integrated Energy Systems at UVic, and holds a joint appointment as a Research Scholar with the Energy Program at the International Institute for Applied Systems Analysis (Austria). Simon works with collaborators from around the world on the development and application of new integrated assessment tools for engineering solutions to global energy and environmental challenges. His current research focuses on modeling interactions between the United Nations’ Sustainable Development Goals (SDGs) to identify the implementation synergies and size the required financial investments. Simon is a contributing author to the Intergovernmental Panel on Climate Change Special Report on 1.5 ˚C (IPCC SR1.5) and the International Council for Science (ICSU) Guide to SDG Interactions. Simon completed his BS in Engineering Physics (University of Saskatchewan) and his MS and PhD in Mechanical Engineering (University of Victoria). He has previous experience as a power systems engineering consultant in the United States and Europe.